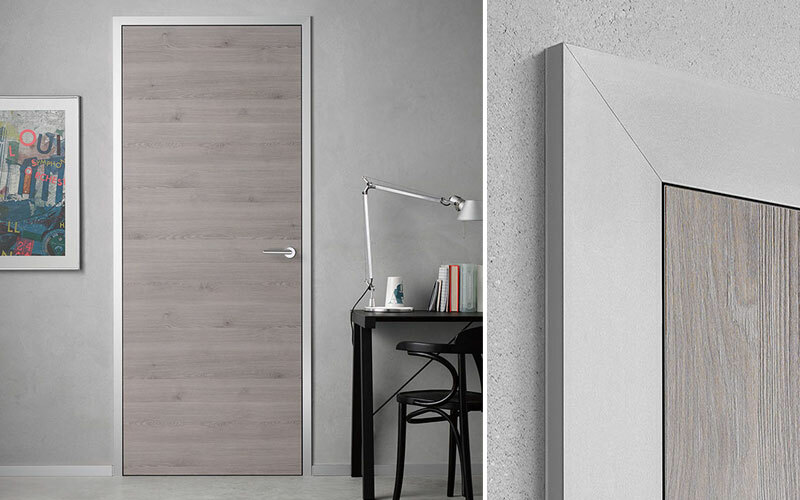 As specialists in interior doors, our engineers have developed a sustainable overall solution for the well thought-out integration of interior doors. 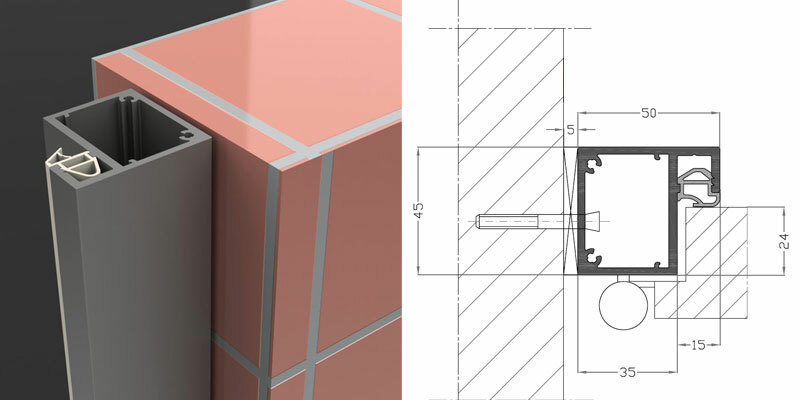 For this, technical perfection with the claim to lifelong function forms the basis across all stages of planning right through to the finished product. Whether builders, craftsmen or architects, anyone who loves the timeless and formal design is thrilled. The most demanding request is our benchmark for the longevity of our products. Follow a clear concept for your interior design. 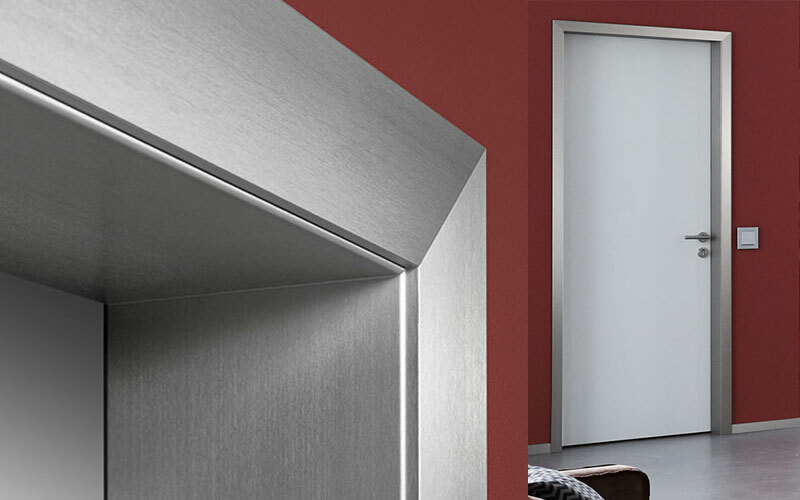 Aluminium F1 finish combines skillful restraint with a focus on the essentials. Quiet surface, good proportions, high functionality and a perfectly coordinated range of accessories - this is the toolkit for furnishing purists who know what they want. If you are looking for something special, you have to dare something special. Design your interior with first-class materials that speak their own language. The surface of Stainless Steel has a special effect due to its unique microsection. The frame becomes a picture frame, which effectively encloses the door. Let your quality standards for aesthetics and functionality run wild. White RAL9010 finish will live up to your expectations. The subtle shimmer, the pleasant white and the even surface speak for themselves. 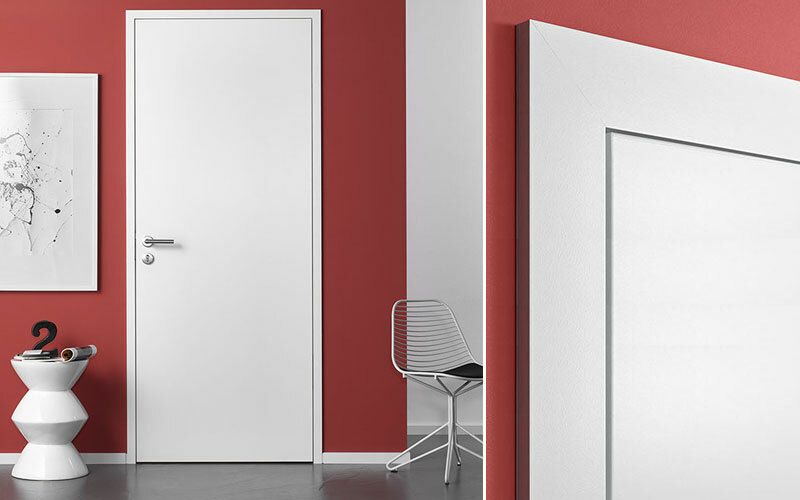 The extremely impact-resistant coating finish is achieved by a high-quality powder coating and withstands even heavy demands in the edge area. 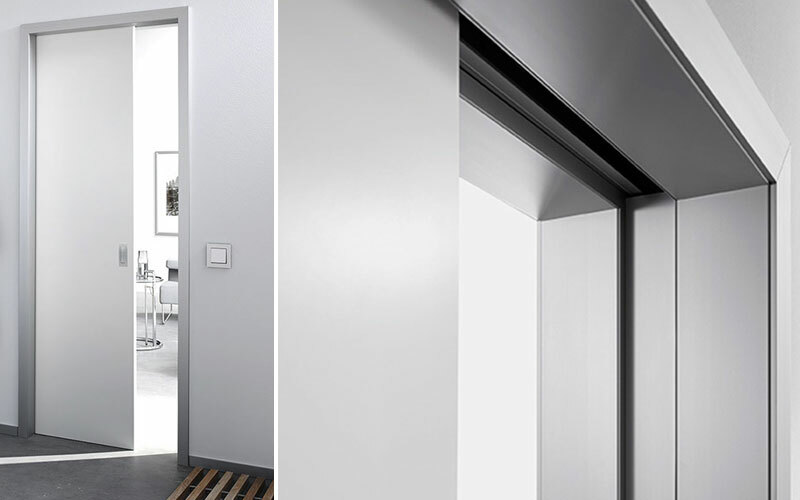 Adjustable aluminium frames with architraves are suitable for European and British style doors and can be installed in openings that require the covering of an old wall. 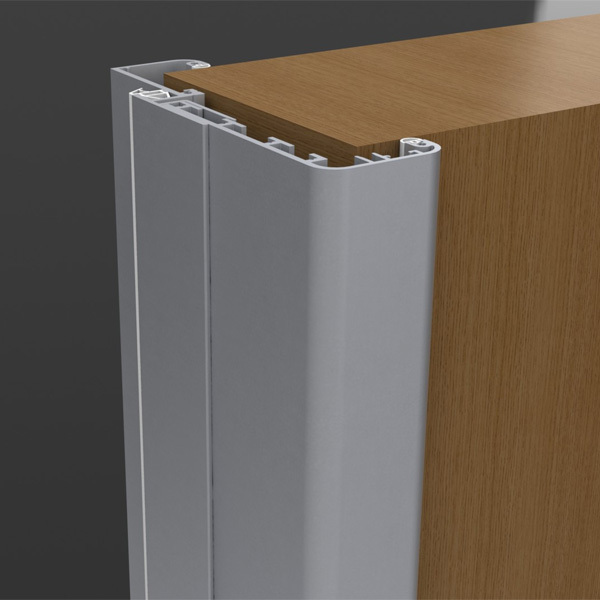 These type of frames have adjustments between -5mm and +15mm and come equipped with rubber seals that help with draught exclusion and a smoother door closing. 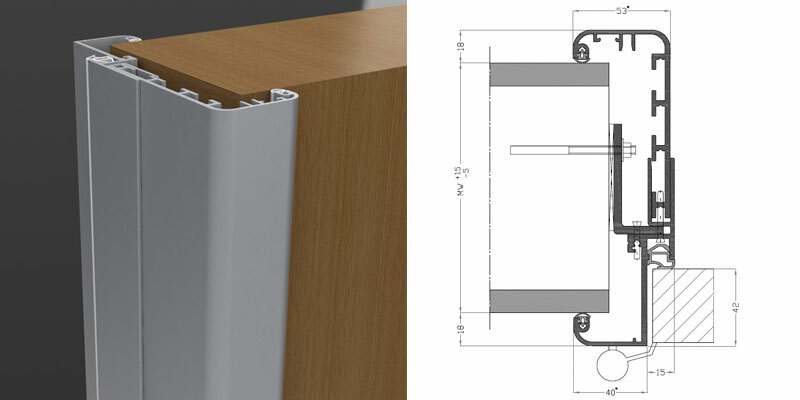 Adjustable aluminium frames can accommodate wooden doors with 40mm thickness with an average length of the architrave of 40mm on the hinges side and 53mm on the other side of the wall. 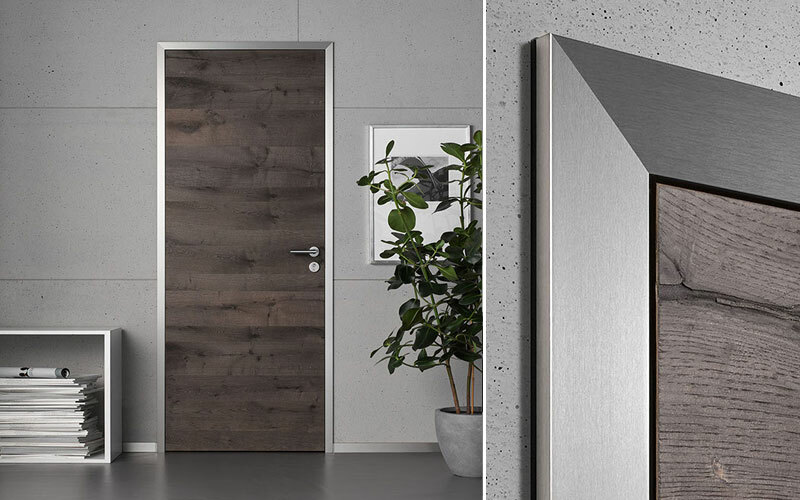 The aluminium block frames can accommodate European or British style wooden doors without covering the wall as they are not supplied with architraves. These block frames give the possibility of having the wall finished in any way that the customer wants, with tyles, plasterboard or even wallpaper. 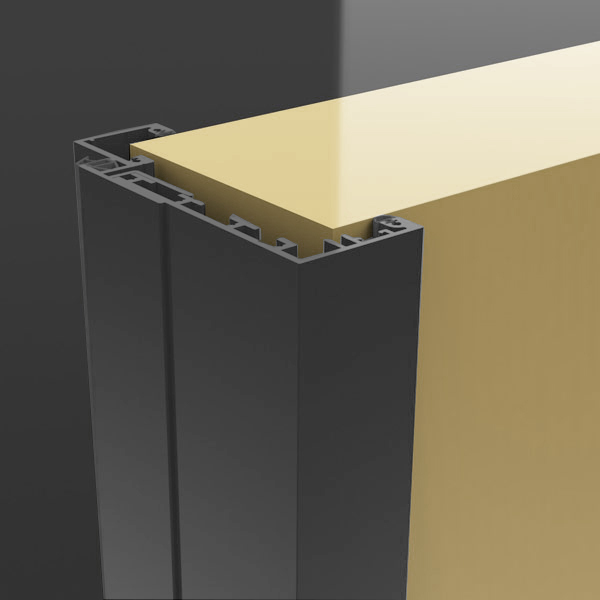 The aluminium block frames come equipped with a rubber seal that helps with soundproofing and draught exclusion. 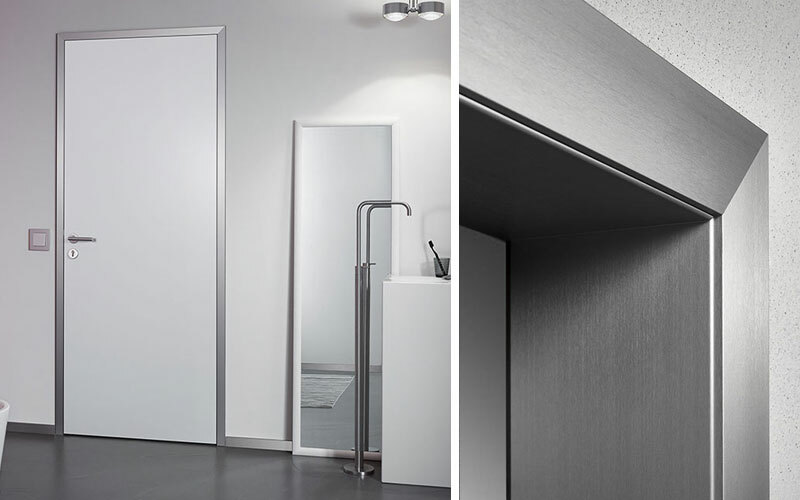 These frames can be installed on any type of walls with different thicknesses without compromising how the door is closed or opened. 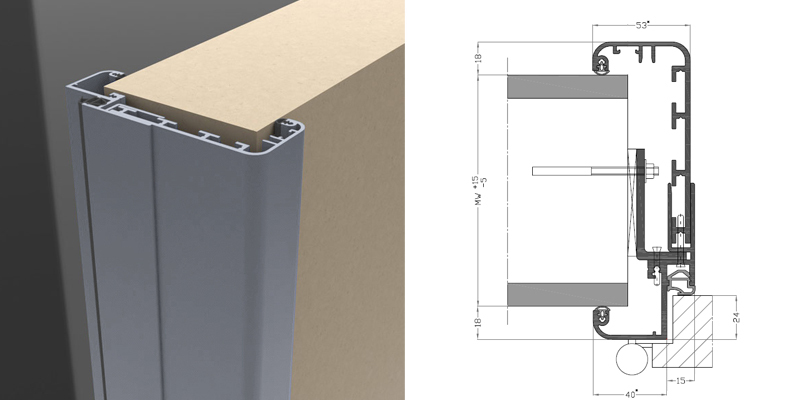 Our aluminium frames with architraves can be supplied with a round or a square edge. 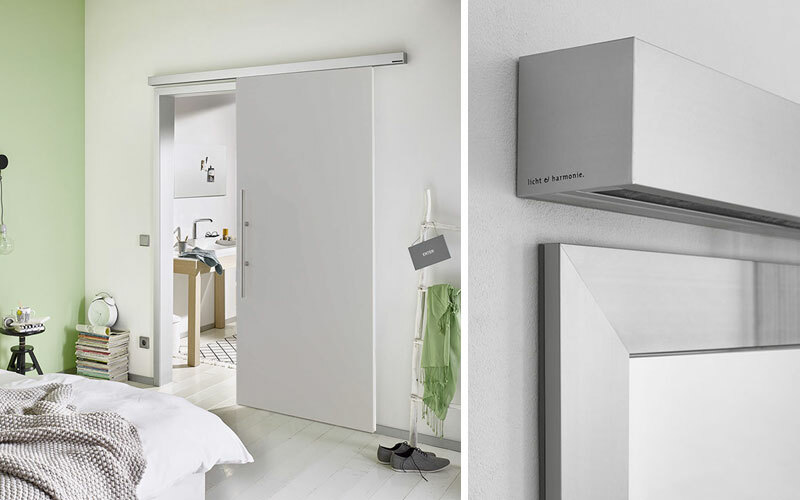 This doesn't affect the insulation properties of the frames or the way that the doors are accommodated. 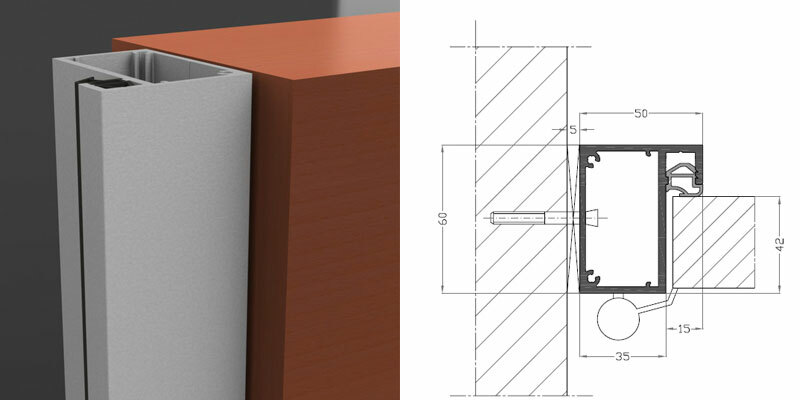 For both designs, the architrave sizes are 40mm on the side of the hinges and 53mm on the other side of the wall. These frame designs were created by our aluminium frame factory to smooth the visual transaction between the wooden frames already fitted in the property and the aluminium ones, so that everything blends together in a modern interior design.